The musician biopic has sadly become a staid and generic entity. Since Walk the Line, the format has been refined to a soulless template, mapping out predictable plot points to be applied tritely at well-edited points in the musician’s life. Films like Walk Hard have spoofed the arbitrary and ridiculous tropes that this has produced. 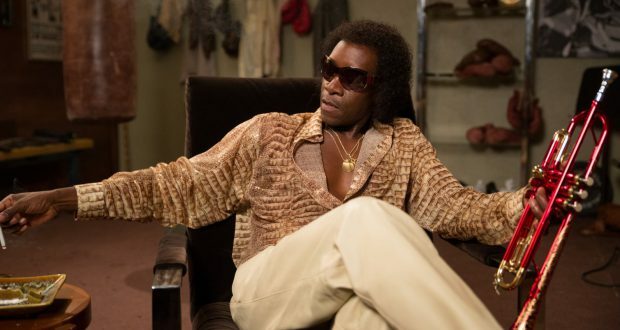 I am relieved to find that Don Cheadle’s love letter to Miles Davis, one of my favourite musicians, avoids the bulk of these conventions and proves to be enriching material even if it does have a rather loose adherence to facts. I am by no means an expert on the life story of Miles Davis but even I know when liberties have been taken. Miles Ahead uses a scenario in the 70s as a framing device. Davis, deep in his reclusive and barren phase, is being pestered by his record label for a session tape and Ewan McGregor’s unscrupulous journalist is angling for an interview. McGregor’s freelancer is a fabrication, used to enable some wild antics and the weird coke-swindling MacGuffin caper that this framing story becomes. Not entirely sure any of this happened. That’s not to say this narrative is perfunctory or uninformative. Firstly it is entertaining in its own right but it also works well to set up the major adversities Miles was facing down at the time. His artistic malaise, his substance abuse, his isolation and his anti-social behaviour are all laid out. Furthermore, the interactions are used to segue into the flashbacks that make up the other half of the film. These flashbacks are probably the most conventional aspect of the film. Thankfully they don’t give a crash course in the life and career of Miles Davis: such a sprawling effort would lack focus. The editorial line of these segments is to track Davis’ career relative to his doomed marriage to dancer Francis Taylor. The disadvantage of this is that it does curtail insight and detail on many major events. We aren’t exposed to the initial launch into fame, the perennial heroin problems, the nurturing of and rivalry with John Coltrane. What it does show is how Davis’ musical fortunes dovetailed with his abominable treatment of his wife. The particular edge this film has is the inventive transitions between the time periods. There’s no brooding contemplation prior to a performance. 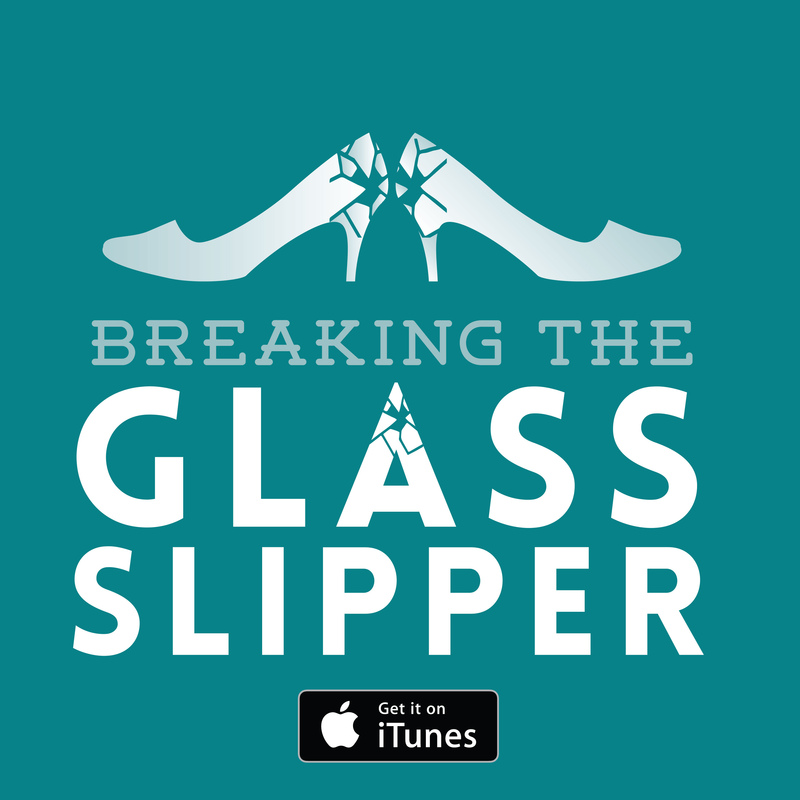 There’s a stimulus or parallel to the events in the past and a rather technical scene change as we morph from bedraggled fuzzy Miles of the 70s to short-haired suited-up Miles of yesteryear. Frenzy and coked up confusion weirdly blend the two eras. The effort to formally construct a modal and freeform structure to the film to reflect the music is a very canny idea. 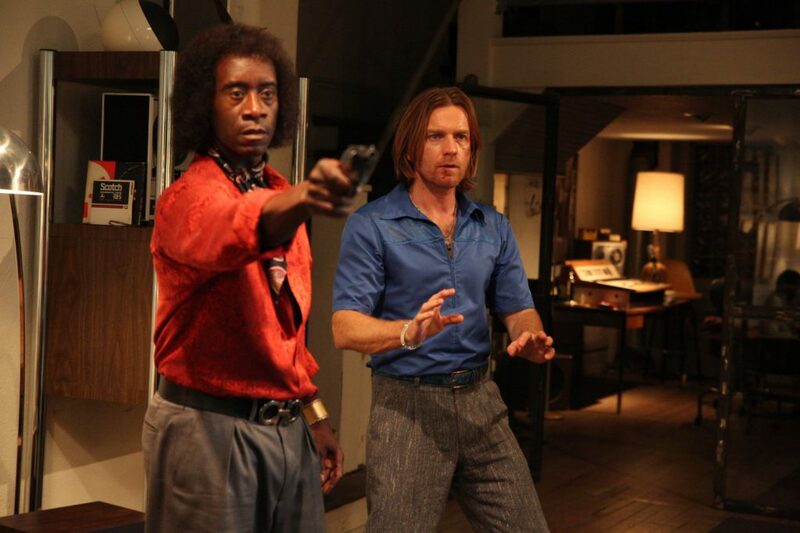 Crucially any biopic like this will need to create appeal in its subject. 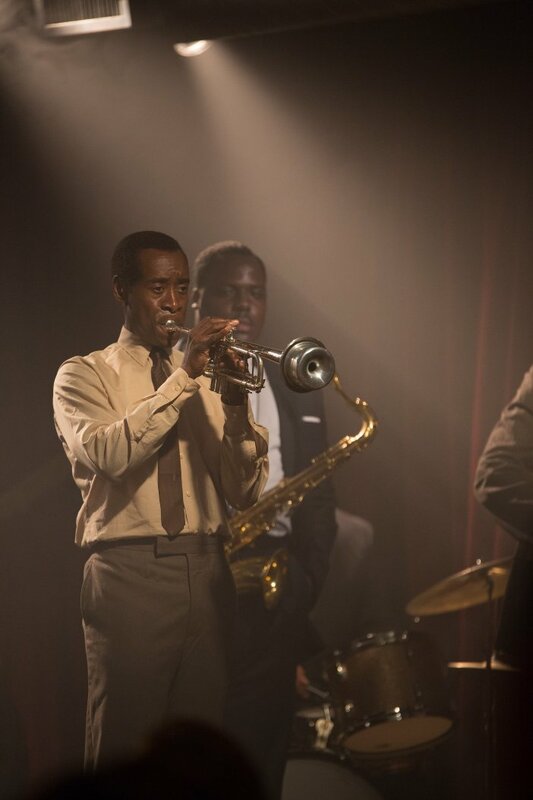 Don Cheadle doesn’t frame Miles as some destined prodigy like every other subject of a biopic: the maestro’s skill is couched in hard work. Though acting reprehensibly and more than a bit of a jackass, the forceful personality, Cheadle’s ability to inhabit that crotchety rasping demeanour and the fact that his reputation is earned do get you rooting for him. I am a pre-established fan of his work so I am not sure if the film will cultivate any new fans of Sketches of Spain but the tunes are well integrated and I certainly will be listening to the back catalogue for the rest of the week. 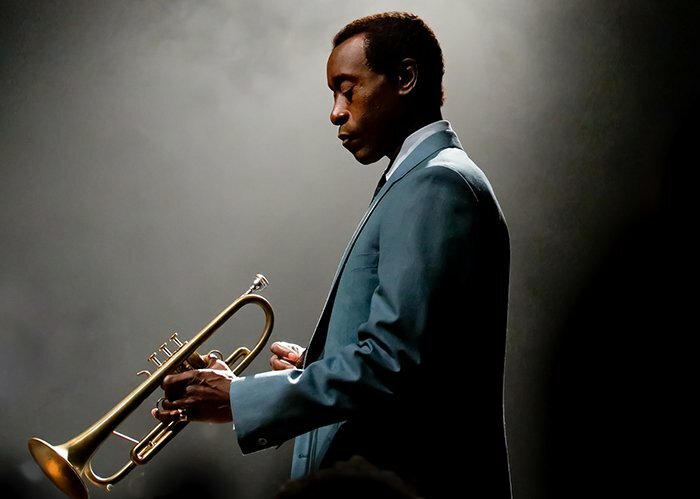 Verdict: Admittedly somewhat fictitious, Miles Ahead is a stylish and bombastic picture of the great musician. Joy: The melodramatic tale of the Miracle Mop Steve Jobs: Artists lead and hacks ask for a show of hands Sing Street: You’re in a band? Jane Got a Gun: What is a Western without a brilliant baddie?